Monday as the preliminary judge demanded that the case couldn't go ahead aside from the prosecutor, Mr Innocent Anyigor, pays a fine of N50,000 forced on him amid the past procedures. Justice Oluremi Oguntoyinbo, sitting at the Federal High Court in Lagos, rejected the plea by the police prosecutor that the N50,000 be waived. snail’s pace at which the case had proceeded since Egbegbe and his co-defendants were arraigned in February last year. Shortly after Omaka entered into the witness box at the last hearing, the defence counsel complained that they could not find his name on the list of the witnesses which the prosecutor served on them as part of the proof of evidence. Responding, the prosecutor, Anyigor, apologised, saying it was an oversight. But Justice Oguntoyinbo rejected the apology and awarded N50,000 cost against Anyigor, stressing that the fine must be paid before the next adjourned date. When the matter was called on Monday and Anyigor was asked by the judge why he had yet to pay the fine, he urged the judge to waive it. But the judge refused. In view of the judge’s refusal to waive the fine, the prosecutor pleaded to be given two weeks to raise the money. But Justice Oguntoyinbo said she could not grant any adjournment longer than seven days, noting that the case had already dragged. “I am getting fed up with this case. There has to be an end to litigation; this matter must end. “We are talking about human lives. Only one of them (defendants) has been able to secure bail, the others are in prison. “Justice delayed is justice denied. These are young people, let them know their fate,” the judge told the prosecutor. 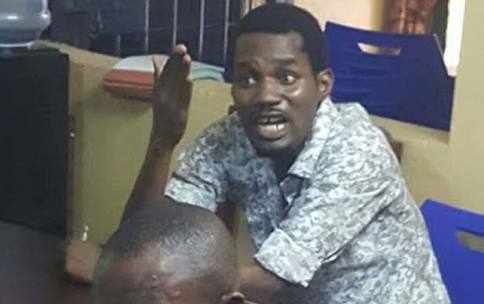 The police charged Egbegbe and four others with alleged serial frauds involving N39,098,100, $90,000 and £12,550. They were accused of fraudulently obtaining the money from no fewer than 40 Bureau De Change operators in Lagos over a period of two years – 2015 to 2017. Egbegbe and his co-defendants, however, pleaded not guilty to the 40 counts pressed against them. Those standing trial alongside Egbegbe are Oyekan Ayomide, Lawal Kareem, Olalekan Yusuf and Muyideen Shoyombo.